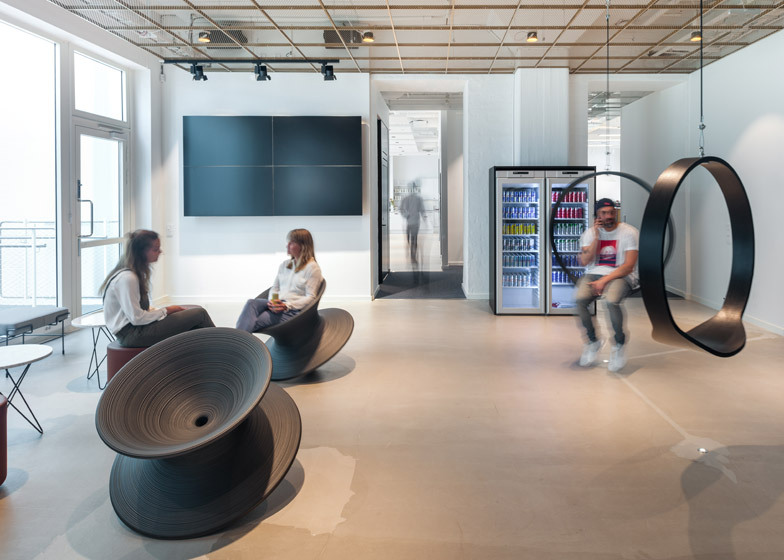 The famous energy drink company has accommodated their team in Sweden into a brand new, ultra cool office space, incorporating a range of flexible communal spaces as well as a reception area with modular desks. 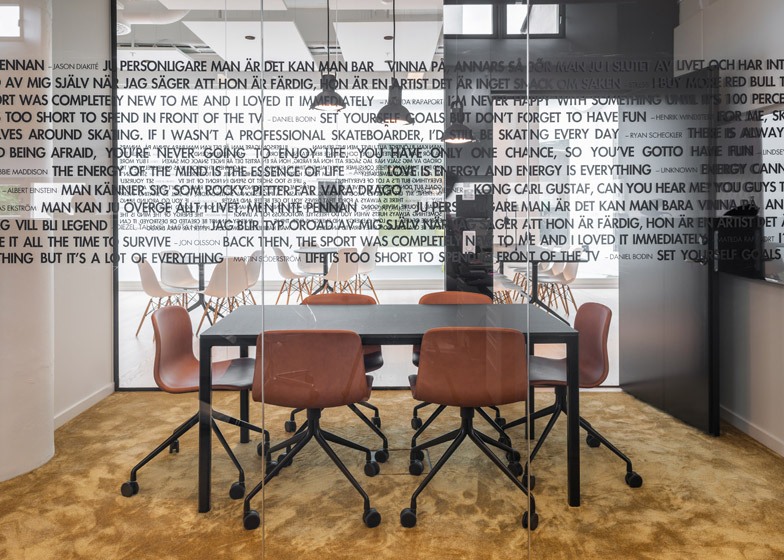 The main idea behind it is that at the evenings the desks are re-configured as a bar, offering a cool social spot for its employees to enjoy and mingle. 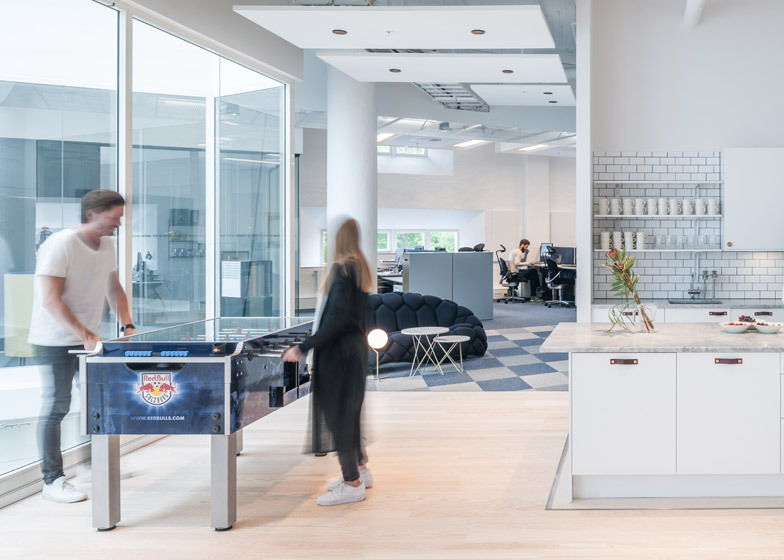 Red Bull’s Stockholm office interior embraced the brand’s spirit for adventure, sports and arts, featuring details and furnishing that communicated the dynamic culture of the company. 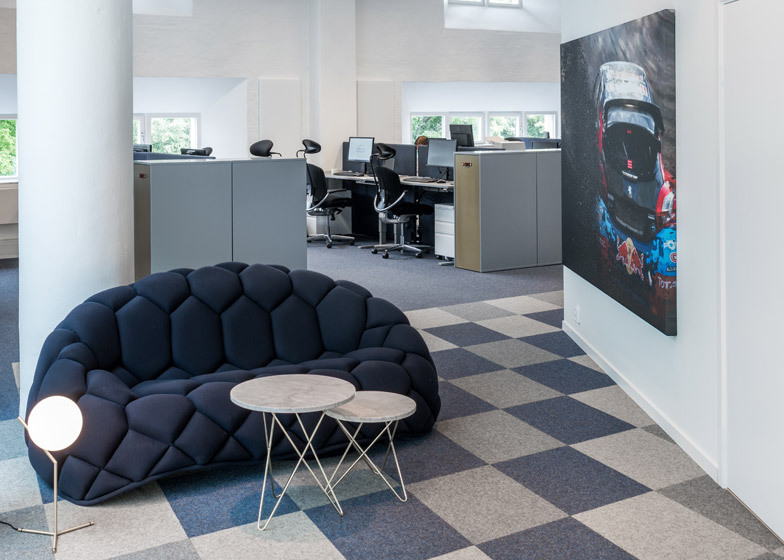 Geometric carpets and colourful furniture offer comfortable and stimulating work environment along with a showcase of the Red Bull product throughout the space, but only in a “sophisticated, modern and cool way”. 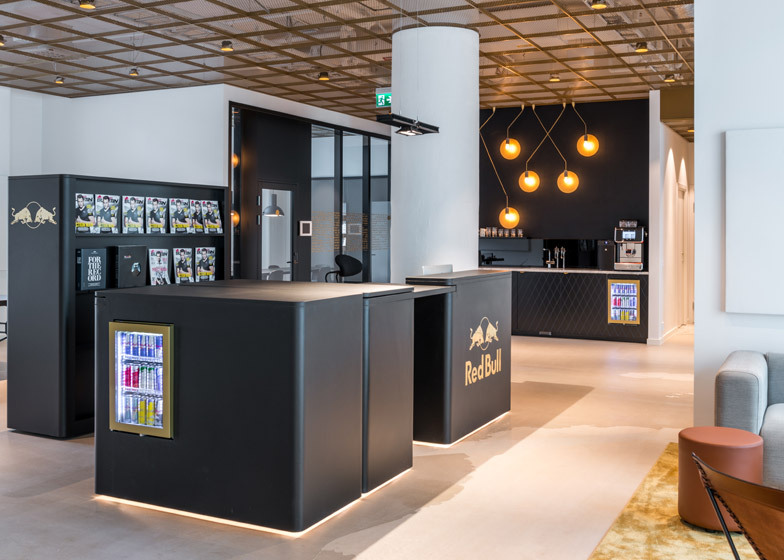 The design specialist responsible for the funky and functional interior, PS Arkitektur, used a colour palette of blue, black and gold, which is a direct reference to the colours on the energy drink’s can, along with the two charging bulls from the logo, which provided further platform for inspiration and visual cues. 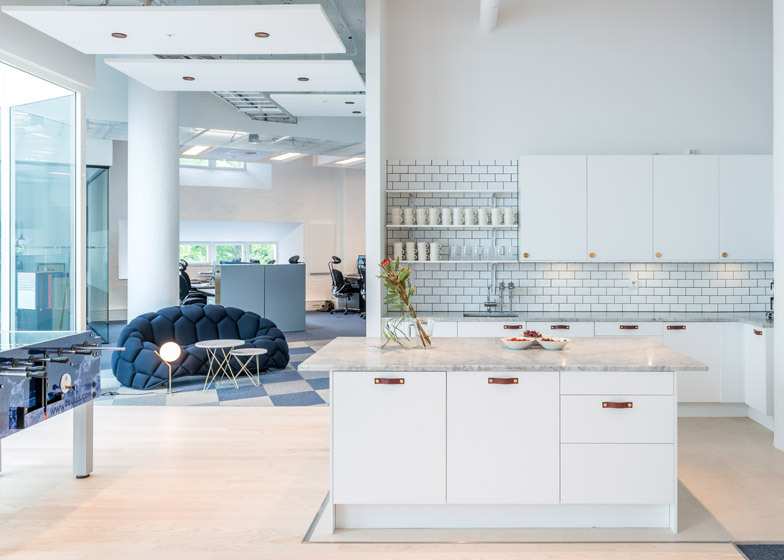 One of the main requirements for the new space was its ability to provide flexibility, offering many spots for impromptu meetings and unplanned conversations. As the company works and partners with a lot of external artists and different companies, the space had to reflect the diverse and energetic life of the brand as well as being able to accommodate all its guests and visitors. This is why one of the main features of the space is the modular furniture that can be reconfigured and moved around, allowing to facilitate different uses of the space in any given time of the day.